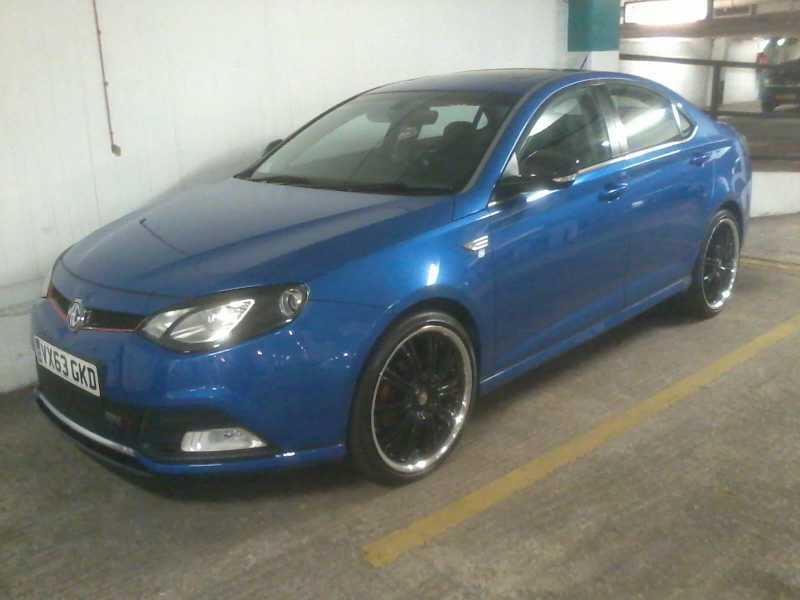 Hi, I drive a car that is very similar to the MG6, 1.8T petrol but under a different name and left hand drive. I was just wondering if anyone knows where I can get a bigger intercooler custom made. I am prepared to pay for all costs. My car can boost to more than 20 psi or 1.3 Bar so I need better cooling. Any help on this would be appreciated. Thanks. If you find out the details of the Standard Intercooler then you can always use a universal one of larger size. Try Pace Products, or as mentioned do a search for universal intercoolers. How do you get the boost to 20psi? Does the Roewe (550?) have a different ECU etc? Can you get the same kit for the 6? Last edit: 3 years 2 months ago by Blue Charger. Last edit: 3 years 2 months ago by Roewe. You've done a lot of serious mods there! 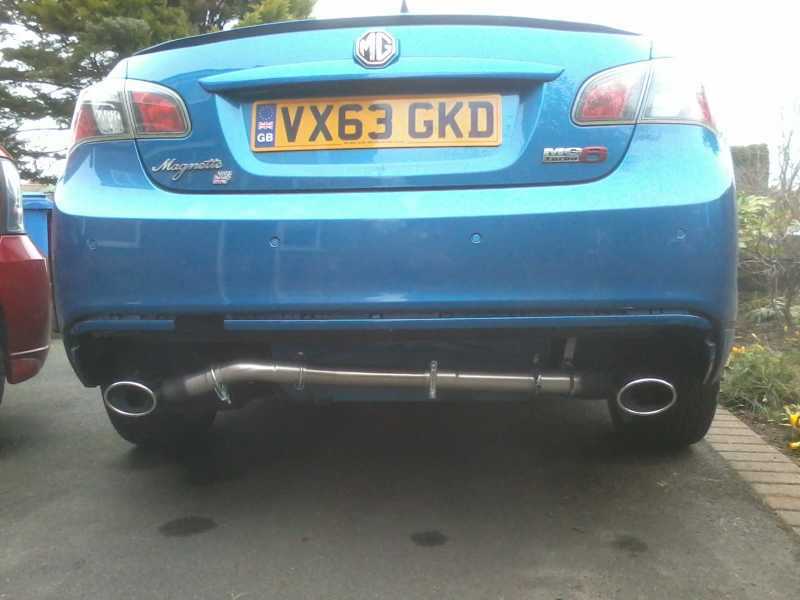 I thought I was pushing the boundaries when I swapped the wheels for 20" and made my own dual exhaust trim! I've added carbon mirror covers and front splitter as well as boot lip spoiler. Oh, and a gear knob too! Just need more power now. The car needs 200bhp, just another 40 horses will do. 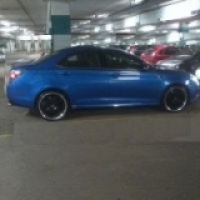 Wow, how did you manage to fit 20'' wheels without touching the guard and imagine the costs of the rims and tyres. I think I would go as far as 18''. As for power I think my car has about 180kw which is roughly about 250ps (hp). I think this is the most I can push for this kind of engine, I'm still searching for a bigger intercooler though. 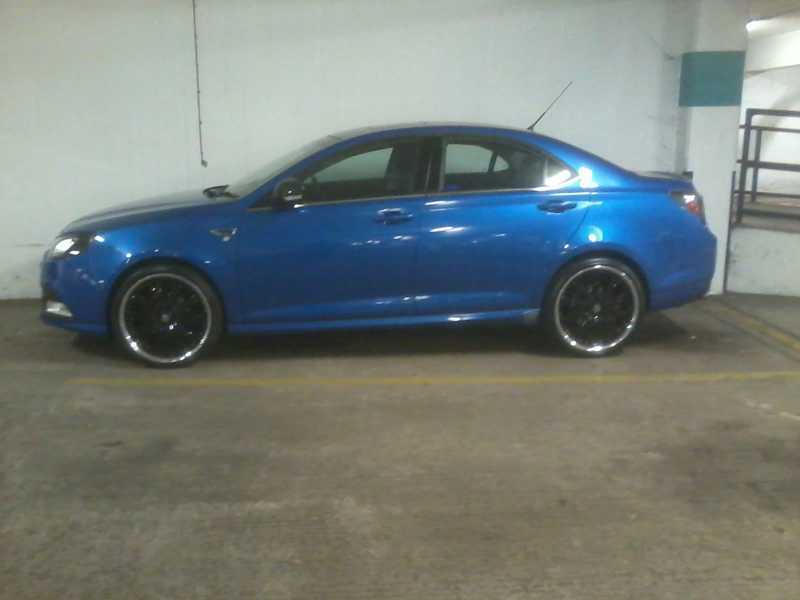 I have attached a few more pics of my car, I had those doors modified to be like that , this is MG6 sister car. Here are some more pics of my engine when I had an oil cooler installed and a new bigger turbo put in. 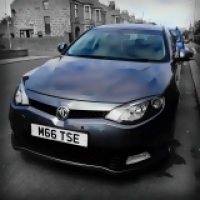 The intercooler on the MG6 is so small I don't see a way of getting a bigger one. There is no room for it to go higher but only thicker. I had the engine cover painted also it was originally black. That is radical! 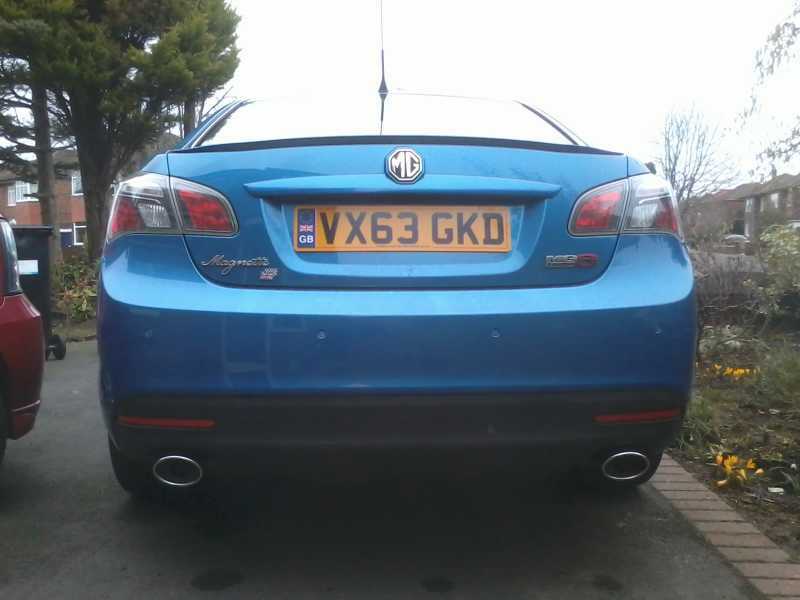 I'm not sure anyone in the UK has managed to squeeze any more than standard horsepower out of the 6 There was talk by a forum member that he has managed 200+ bhp but I've not seen any kits available or evidence. The 20" wheels fit fine. They are 8.5x20 with ET50 offset (standard) so are basically 1/2" wider inside and outside. They do come close to the rear shock and on full lock the fronts come very close to the inner arch, but you can fit 3mm spacers if necessary. I've actually fitted 10mm spacers on the back (hubcentric of course) just for looks. The tyres are Pirelli P Zero 235/35/20 so have only slightly bigger overall diameter. I might try 245/30 next time as these are virtually same OD. Hi, thanks for the pics. I might try a piggy back ECU when car is out of warranty. I just want another 40 or 50 horses and see how it goes. When you say 'flash/remap the ECU' what do you mean? Do you take the whole kit to a chipping co and get them to do it/install it? Flash/Remap means reprogramming the ECU, there is no kit. They will take out the ECU and reprogram it to increase the air/fuel ratio then this will give the engine more power. I have attached a few more pics for you Also one of the pics is my dyno 244ps (horsepower) and 300 torque. My torque would also be able to go up to 350Nm with the use of another electronic device that I have in the car.